Sony clarifies the price rundown for the PS4 in Brazil and says it will speak with government agencies in the country. Buying new consoles in Brazil costs much more than it would in Japan, North America, or Europe. Upon the news that the PS4 would cost the equivalent of about $1,800 in Brazil, Sony has jumped in to clarify the price of the console in the country. About 63 percent of the price tag is due to taxes and fees for importing the console. Marc Stanley, the Sony general manager for Latin America, disclosed the costs of the console in Brazil on the PlayStation blog. Retailer markups accounted for 15.5% of the increased cost, and 21.5% was due to a "PS4 transfer price." Those together put the console's price in Brazil at $390. The majority of the hefty price is thanks to the many taxes in bringing the console over. Sony has to make sure it complies with all laws and import taxes in Brazil. 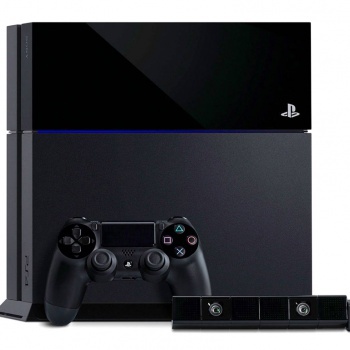 Manufacturing the PS4 would bring down the price significantly. However, that may not be for a while. The PS3 also had a high price tag upon launch in Brazil, and it was not manufactured in Brazil until three years later. "We have read thousands of your comments and heard your frustration loud and clear about the PS4 retail price of R$3,999 in Brazil," Stanley wrote on the blog, translated by a Sony representative to Joystiq. "We want to emphasize that it isn't in the interest of Sony Computer Entertainment America to sell PS4 units at this high retail price, as it's not good for our gamers, and it's not good for the PlayStation brand."